The all-new PREDATOR is the ultimate fly rod for big flies, heavy lines, and aggressive-fighting fish. 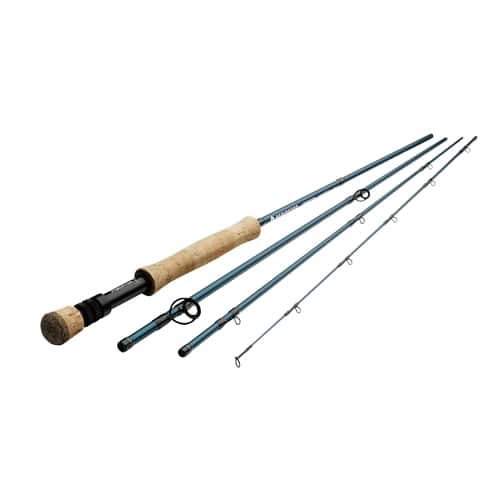 It features a powerful, intuitive fast action that commands enough power to combat big gamefish and pick up and cast today's heavy lines and massive flies. Its action is designed to perform in both freshwater and saltwater scenarios, and all components are saltwater-ready. The PREDATOR family encompasses models ranging from spooky-bonefish duty 5-weights to tarpon-ready 16 weights, including unique specialty models like a 7'10" 8-weight and dedicated PIKE and MUSKY models with extended fighting butts for boatside figure-eights.